We all know “they”… It’s that “guy” who always knows all the facts about Cape Town’s weather, the best diet to follow, the latest assets to invest in or what Sally really did last December. That clears it up right? Yeah, umm, not really. Well, that is exactly why we decided to chat to They and clear up the confusion once and for all. Turns out the real They is a company that focuses on directing music videos, shorts and ads for companies, people and artists who appreciate great story telling. Not having met They before we were quite curious of how a company like theirs would operate. When master storytellers, Alan and Darren, approached us just before they relocated office, Alan mentioned They (pun intended) were looking for a solution that would “cancel out the bad side of an open plan layout, still remain inviting but offer the focused privacy needed for many of their tasks”. We didn’t hesitate to assist in the project, because we knew we were working with likeminded guys who were ready to change things a little. 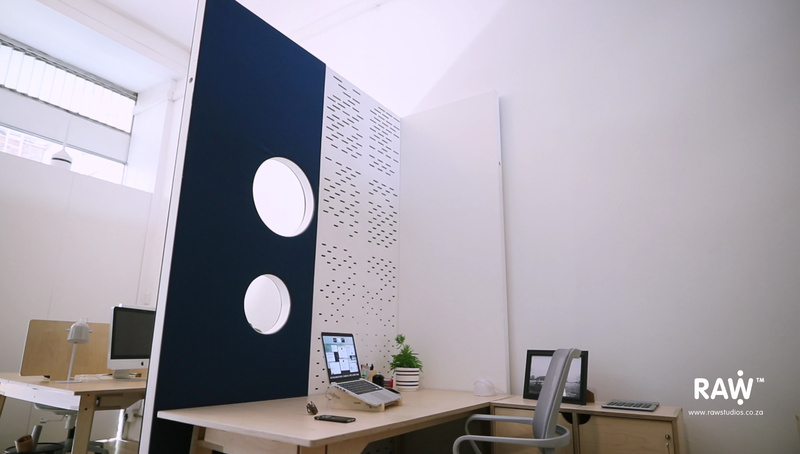 Wall Space™, along with our Epik™ furniture, were the solutions that jumped to mind that ticked all the boxes of their new workplace requirements. 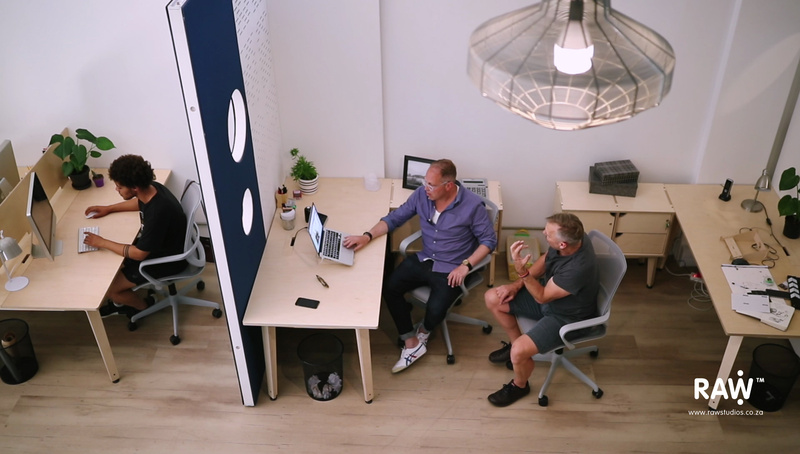 Take a look at the video below to get some more insight into the real They and how Raw ensured their new offices balance and boost their everyday tasks. It took a forward thinking organization in need of change, combined with an architect team with real vision, to create what is quickly becoming known as the “new” Africa Centre. 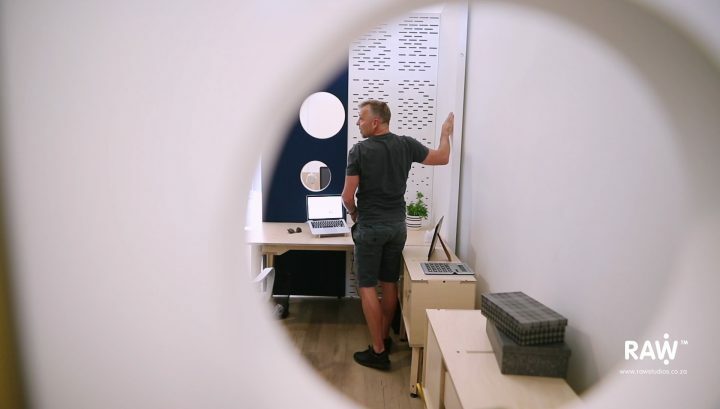 Raw is proud to have played a significant part in the transformation of the workspaces and interiors at this legendary international research centre in rural Kwazulu-Natal. Also see our Africa Centre project page.